Here is the recipe that I promised! Enjoy! In a medium saucepan, brown the meat with garlic and onions. Add the spices and let it cook for about 5 minutes. In a medium pot, add the meat mixture. 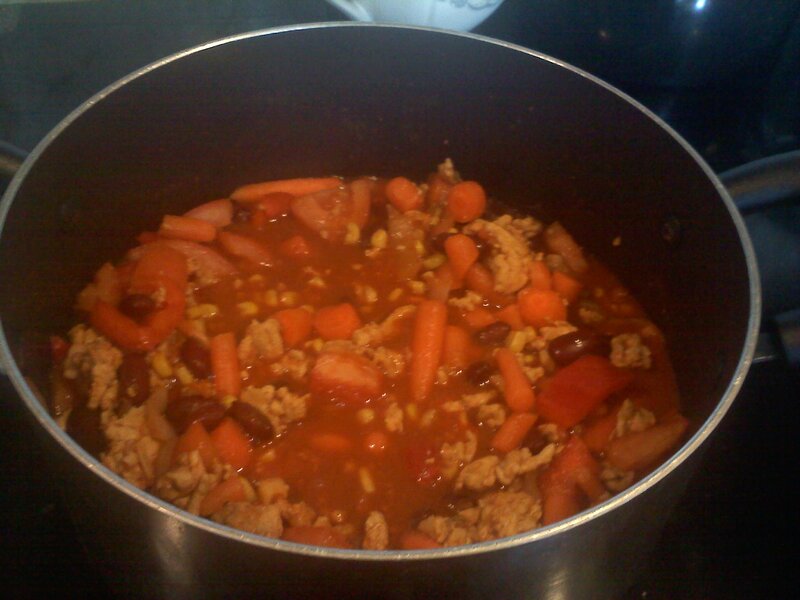 Add the chopped vegetables, rinsed beans (and corn if using), and the V8 juice. Bring to a boil and then add the cashew meal. If you dont have cashew meal, then you can prepare it yourself by processing it a blender until it becomes a powder. After bringing to a boil, let it simmer for another 40 min .